Chief Minister Virbhadra Singh launched five new IT applications of Forest Department here today, which includes a redesigned Website of HP Forest Department, new portal of HP State Compensatory Afforestation Fund Management and Planning Authority (CAMPA), Geographical Information System (GIS) of HP Forest Department on Bhuvan Platform, Short Messaging Services (SMS) Gateway and the Management Information System for HP State CAMPA. 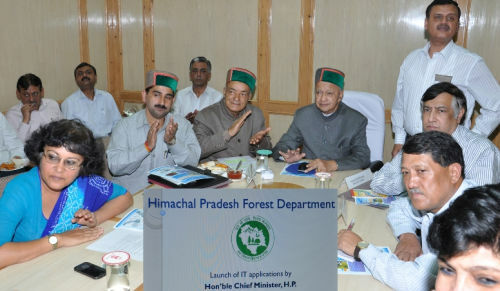 Virbhadra Singh said that in view of the wider implications for the entire Western Himalayan region and the nation, the Government of Himachal Pradesh had accorded highest priority to the conservation and development of precious forest resources of the State. He said that Forest Department had made a significant stride in the field of Information and Communication Technology. 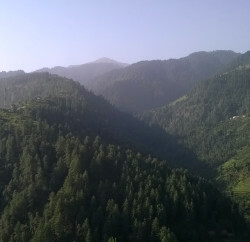 Chief Minister said that Bhuvan based web portal would help in checking forest fires in the State as computerized SMS based fire alert system would provide immediate warning to the lowest field functionaries. He said that the site would also provide various decision making tools such as climate vulnerability of landscapes and forest fire vulnerability based on last 15 years data. He appreciated the efforts of Forest Department alongwith Hydrabad based National Remote Sensing Centre (NRSC) of ISRO for developing this portal. Virbhadra Singh said that the Department was committed to fully utilize the facilities available for efficient e-governance. He said that redesigned website of HP Forest Department conforms to the Government of India Guidelines for websites (GIGW) and Web Content Accessibility Guidelines (WCAG). He also said that the portal of HP State CAMPA had been designed by HP Aryabhatta Geo-informatics and Space Applications Centre (Agi SAC) which would provide information on governance, planning and implementation of CAMPA. Forest Minister Thakur Singh Bharmouri said that National Remote Sensing Centre under the aegis of ISRO was a premier institution in the country in the field of remote sensing and geographical information system. He said that the Centre had operationalized Bhuvan, a web GIS Portal with the use of remote sensing and GIS technology in HP Forest GIS on Bhuvan platform, whole forests in the State have been brought under spatial platform that will enable the development and use of various web and mobile based applications in forest management in the State. 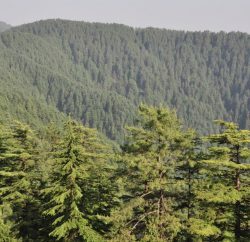 Bharmouri said that the SMS gateway would provide the facility to the Forest Department to send bulk message regarding specific services to the group of users from forest guard to the Headquarters level. He said that the Management Information System (MIS) of HP State CAMPA is a web based software application for producing reports of physical progress and financial achievement of activities funded from HP State CAMPA like CAT Plans, Compensatory Afforesation, Net Present Value (NPV) etc. Principal Secretary Forests Bharti S. Sehag detailed about the various features of all the IT applications. She said that with this re-designed website and the applications the Forest Department of the State would be able to provide update data and information not only to the departmental personnel but also to the general users. Later, Chief Minister honoured Deputy Director NRSC Hydrabad, Dr. T.G.Diwakar, Group Head Dr. C.S. Jha, Manager Bhuvan Mr. Arul by presenting Himachali Cap and Shawl. Vice Chairman HP State Forest Development Corporation Kewal Singh Pathania, Chief Secretary Sudripta Roy, Principal Secretary to Chief Minister V.C. Pharka, PCCF, Forest Department R.K. Gupta, PCCF Wild Life A.K. Gulati, Member Secretary Science & Technology Dr. S.S. Negi and senior officers of Forest Department and Agi SAC were also present on the occasion.